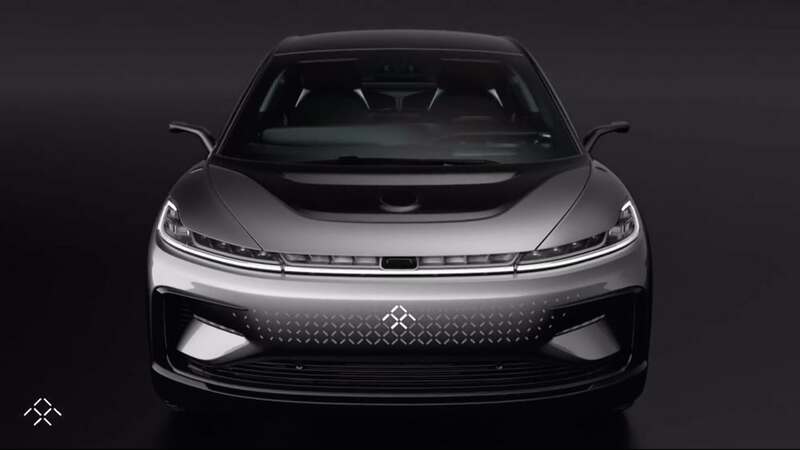 CES 2017 gave us a glimpse of Faraday Future’s FF91. It’s quite apparent this car is something else. Right from the get-go, you can see one thing on the demo vehicle. Lights. Lights everywhere. Front, rear sides- you name it. As if the body work wasn’t futuristic enough already. It’s not for everyone, though. But you can bet, it is certainly out of the ordinary and eye-catching. There’s another thing that this car has plenty of. Sensors. Everywhere. And for good reason too. The self-driving, self-parking aids require a plethora of sensors to be working in conformity to really aid the driver. And one more thing. How fast, you ask? A thousand horsepower fast. Yup, you read that right. As hard as it is to comprehend, this car does, in fact, have an equivalent of a 1000+ horsepower under those seats (seats which can apparently nullify G-force). It has a 0-60 time of 2.39 seconds which is quite simply mind blowing. At the conference, the company was repeatedly saying that this car has the fastest production Electronic Propulsion system in the world. That’s not true. Well, that’s because the car isn’t yet in production. It’s supposed to be, by 2018. However, the 1 Billion Dollar factory that is supposed to be producing it is nothing but construction dust at this point. All this while company executives are resigning because of a somewhat unclear financial situation. So, where has it fell short in becoming the ‘Tesla Killer’? Well, for starters, the design isn’t charismatic enough, it’s not elegant enough. What Elon Musk and Tesla did with the first Model S, is that they took the design of a modern car and augmented it, accentuated it. That allowed people to relate to the modern car they are used to and eventually appreciate the amenities of the Model S. One the other hand, the FF91 is straight up 22nd Century. It’s radical. Now, I am not saying that’s something horrible. But being radical goes well with prototypes. Not if you are aiming to have a car in production and subsequently intend on beating one of the most loved cars on the planet. Then there’s the financial crisis and apparent lack of output in the company. The car that we saw this year was supposed to be in CES last year. The valet parking, that is one of the cars key features, did not work during the press conference. And with internal fallouts being talked about, the companies financial isn’t looking as stable or promising as that of Tesla when the Model S came out first. Having said all that, we are to keep in mind that the world of technology and the automobile industry is rapidly changing. And that even Tesla had their own problems at the beginning. So who knows, maybe the FF91 won’t really be a Tesla Killer. Maybe, it’s destined for an identity of its own. Rankstel launches 1 Gbps internet in Bangladesh. First and Fastest.